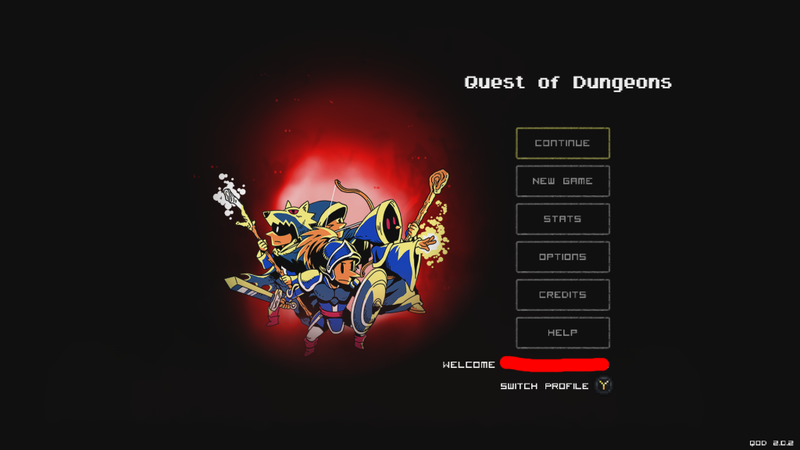 Quest of Dungeons was released on Xbox One exactly a month ago, and the response has been very positive from both players and reviewers, so I decided to list a couple review links here. There are several more, and tons of Youtube videos, so thank you all for helping spreading the word. Upload the image, use the online too to make is look a bit like this, if you used a different website adjust accordingly. 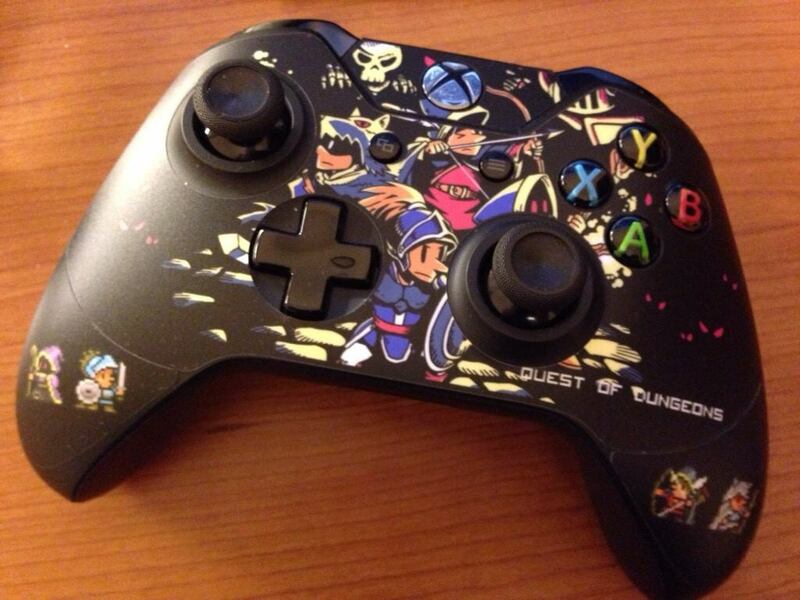 and voila, a brand new Quest of Dungeons theme for your Xbox controller. 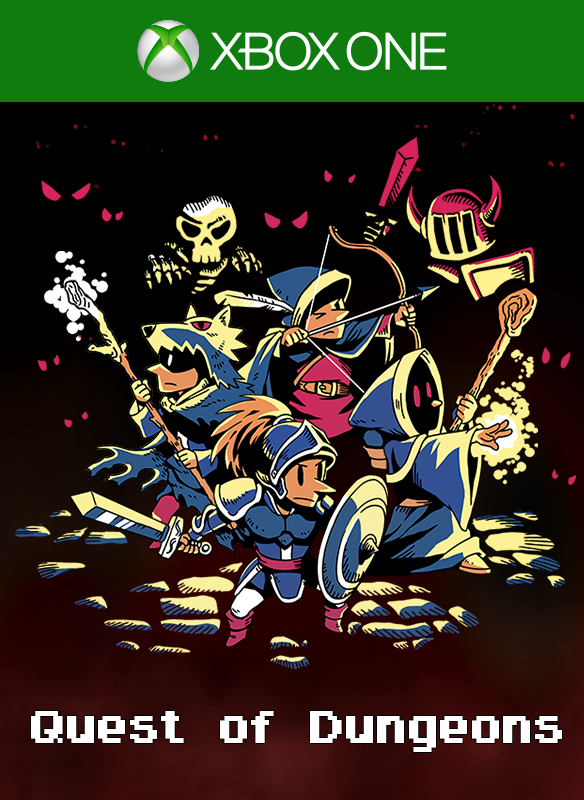 Quest of Dungeons finally landed on the Xbox One, and it’s available to buy right NOW!! You know that thing you’ve been asking me these past few weeks? I finally have a release day. 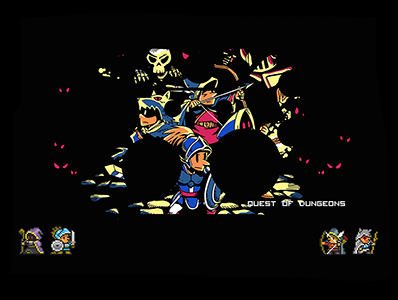 I’m very pleased to announce that Quest of Dungeons is coming to Xbox One on September 4th via the ID@Xbox self-publishing program. After months of development I’m very excited to finally be able say that it will be available on your console on that day. 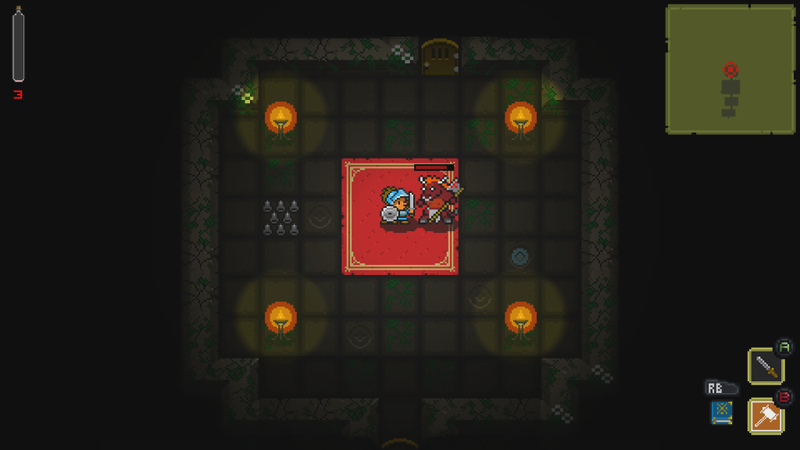 Quest of Dungeons is a turn based roguelike game, featuring that good old 16-bit art style we grew up with. 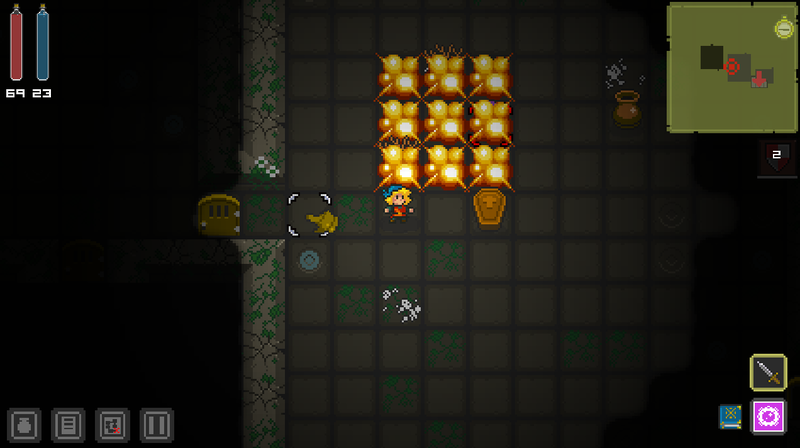 An evil Dark Lord has stolen all the light, so your mission is to enter his lair and defeat him. 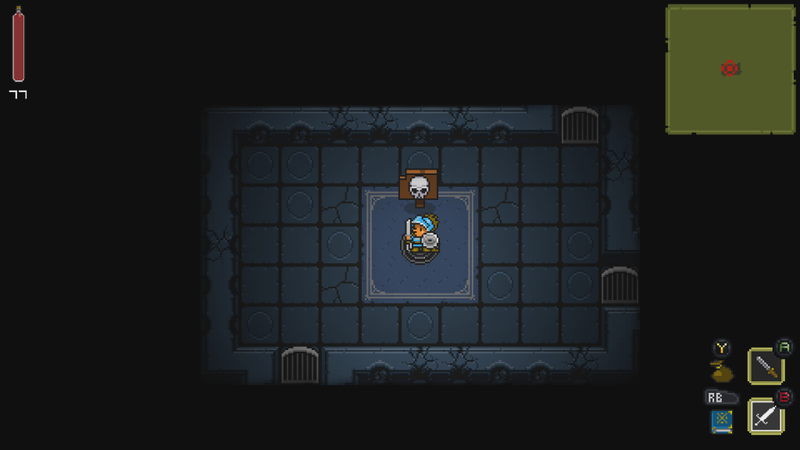 The dungeons layout is procedural so you won’t find items/enemies in the same place each time you play. In my last post I’ve detailed some of the new features and options so take a look for further detail. 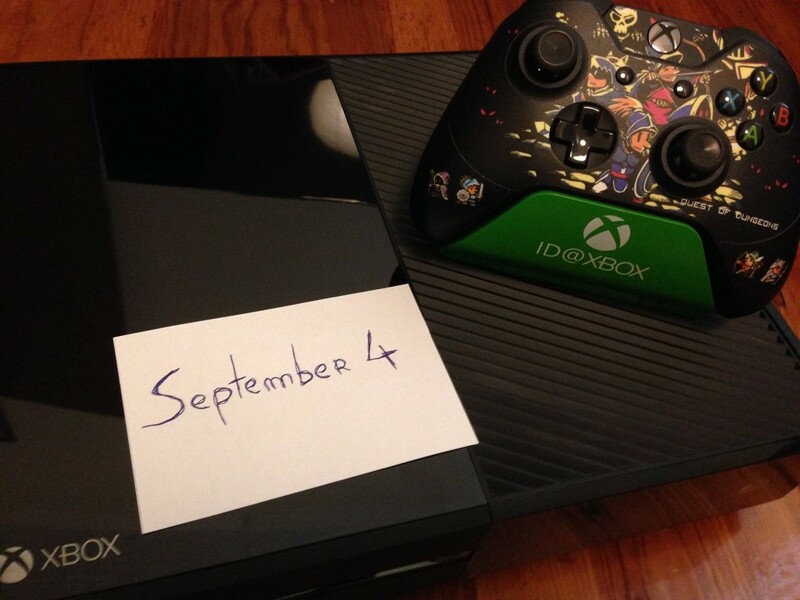 I’ll leave you with a trailer featuring Xbox One gameplay footage, in case you haven’t see it. I’ve been talking about some of the new stuff here and then, but it’s time to show the Xbox version in more detail. 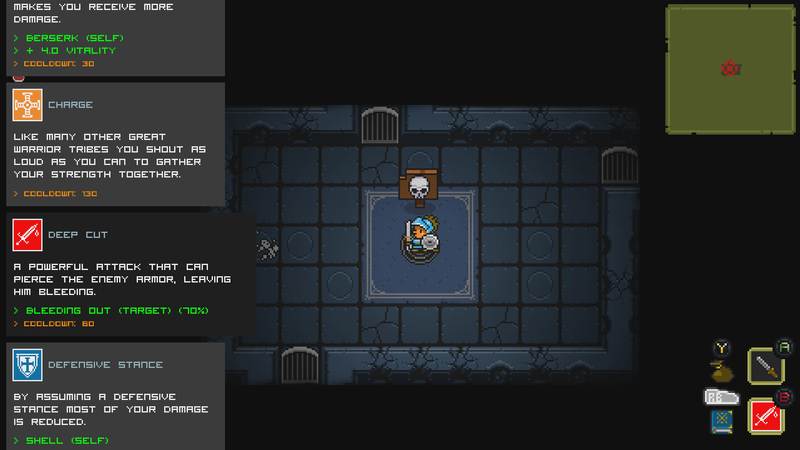 A lot of the UI was remade to allow proper gamepad support, several bugs and tweaks were made, and even new features. Lets take a closer look. 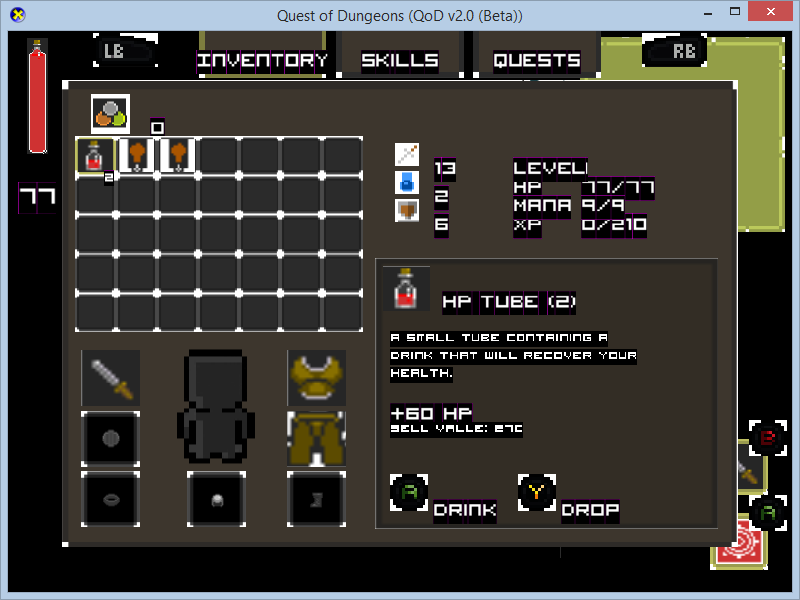 First of all, here’s how it looks in game, a very minimalist UI if I might say so. 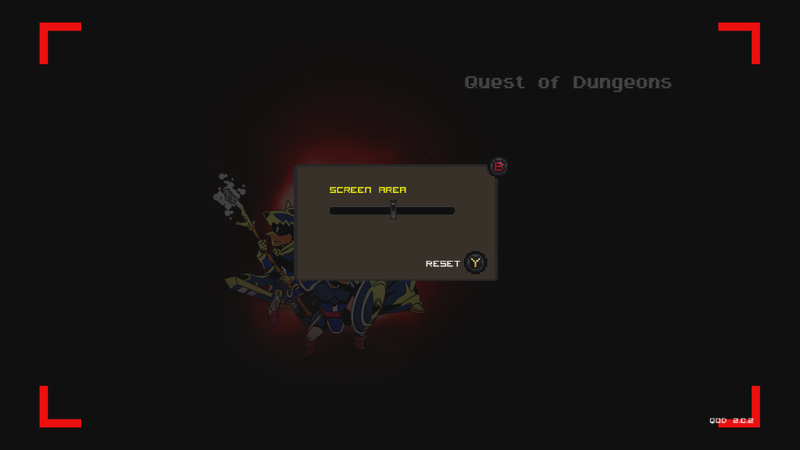 Next the new Inventory system, instead of several menus (that you could use the mouse with ease to navigate) everything was transformed to fit into a single big integrated menu to use with the Xbox one controller. 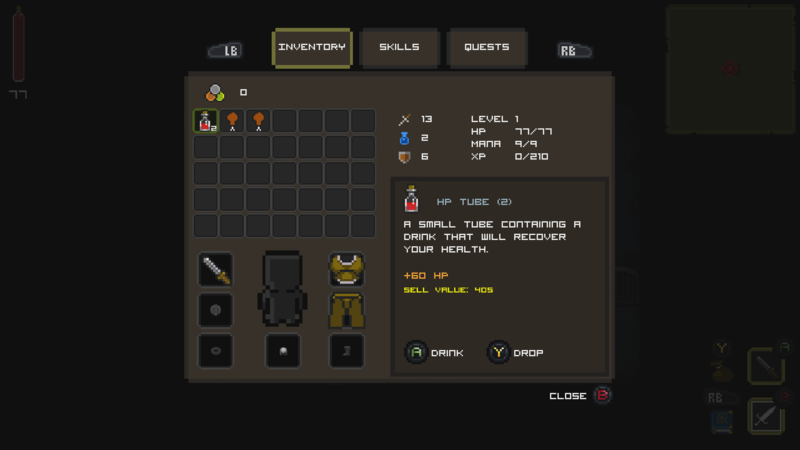 I also added a quick navigation menu to switch between skills, and while you can still use the above Inventory to access skills, this one proved quicker and less intrusive to switch during combat (even if the game is turn-based). You just press a key and voilá! 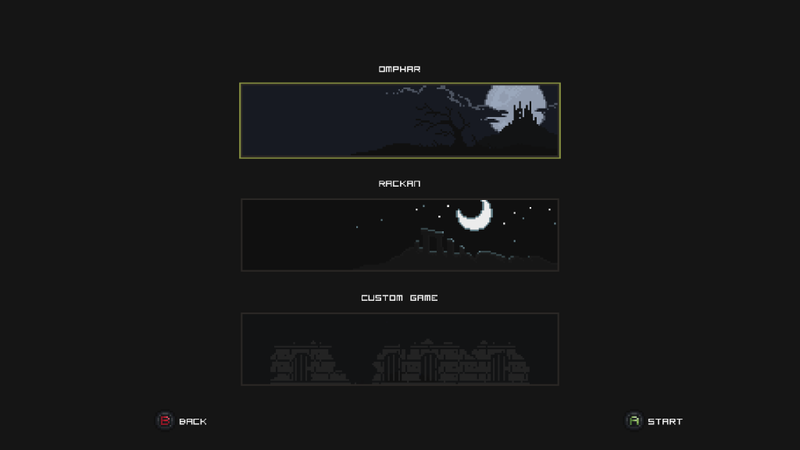 After you finish Omphar you will have access to another new mansion called Rackan, and a custom game mode, where you can choose amount of floors (within a certain range), dungeon size and difficulty. 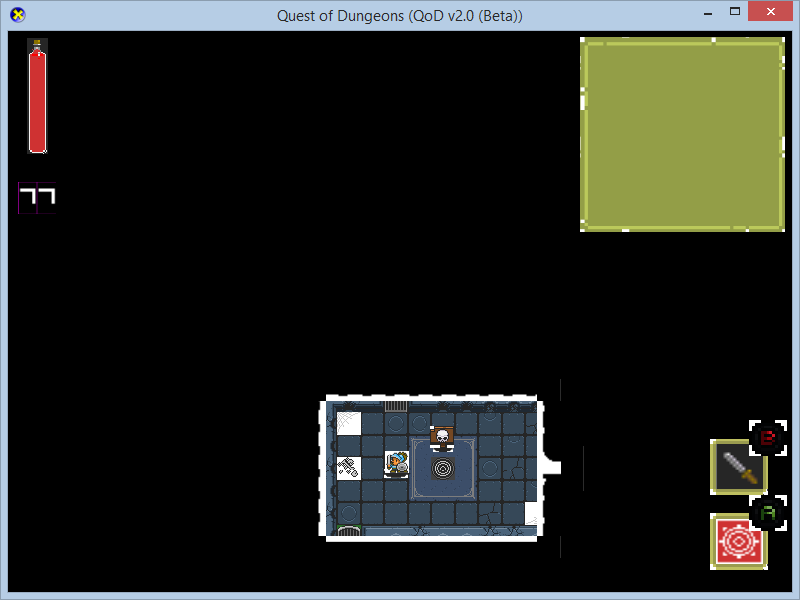 Also in custom the floors themes are mixed in so you usually get a different “flavor” each time. 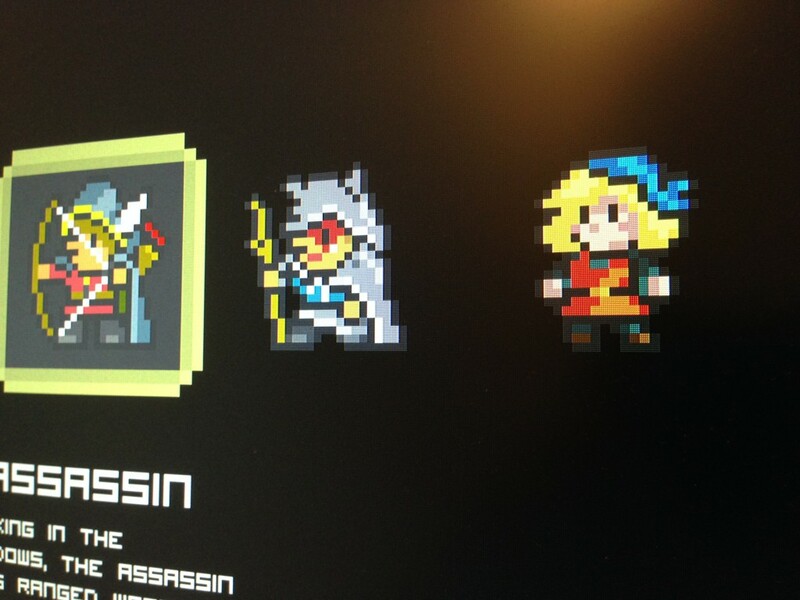 Also after finishing the game you have access to the Necrodancer, which is a bonus character that mixes in several of the other classes, It’s very cool to play with especially if you played the original game. 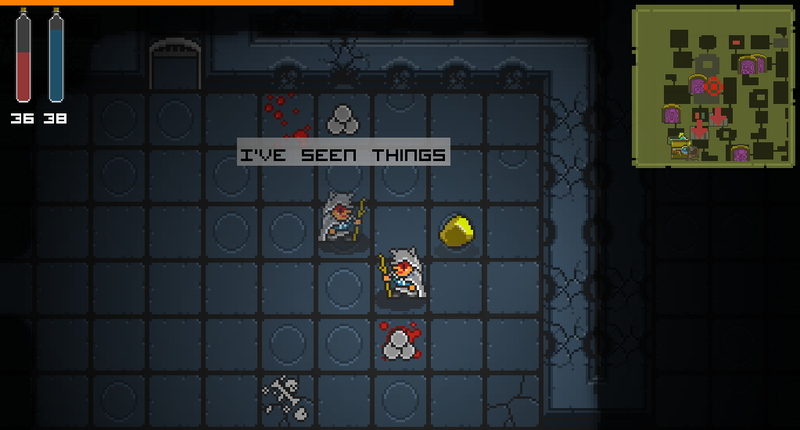 Another cool thing is that you can now find yourself in ghost from a previous run. 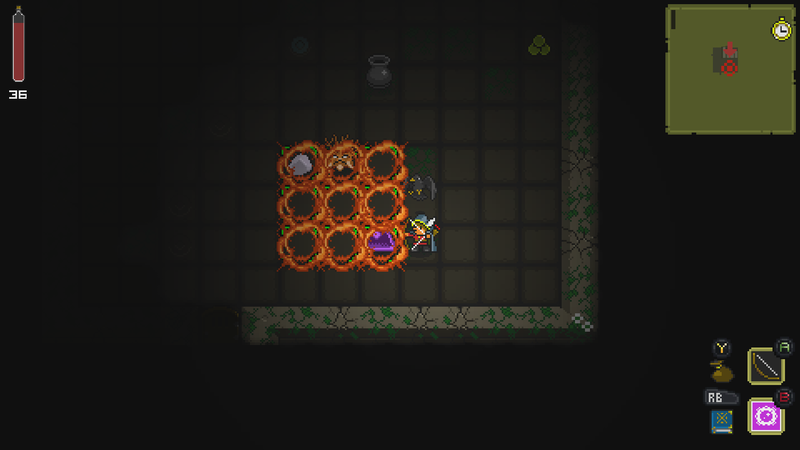 When you die, your character goes into limbo, when you create a new dungeon there’s a chance you might encounter yourself. 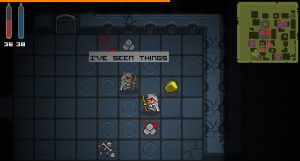 If you defeat your ghost you get everything he still has. The main screen has a different image. 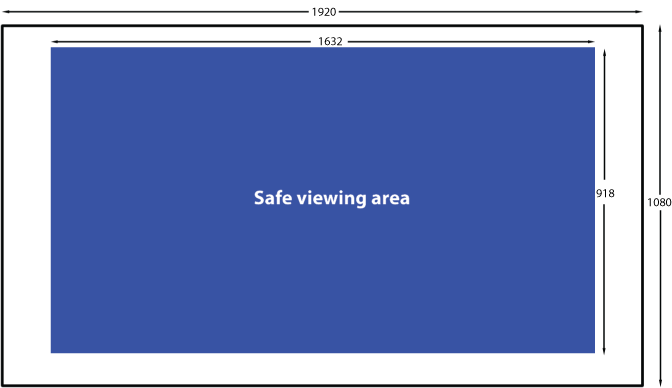 Because most people play far from the television all UI is scaled at 2x. However, if you connect your Xbox One to a monitor and play close, you can set to 1x (which I personally think it’s better for viewing up close). You can also scale the game itself to 2x if you prefer, again it’s a matter of personal preference, depending on your setup. Since the Xbox version will be mostly to run on Television screens there are a couple of specific options, like a screen area, because some television cut a percentage of the screen, you have an option to put the UI on a smaller area. 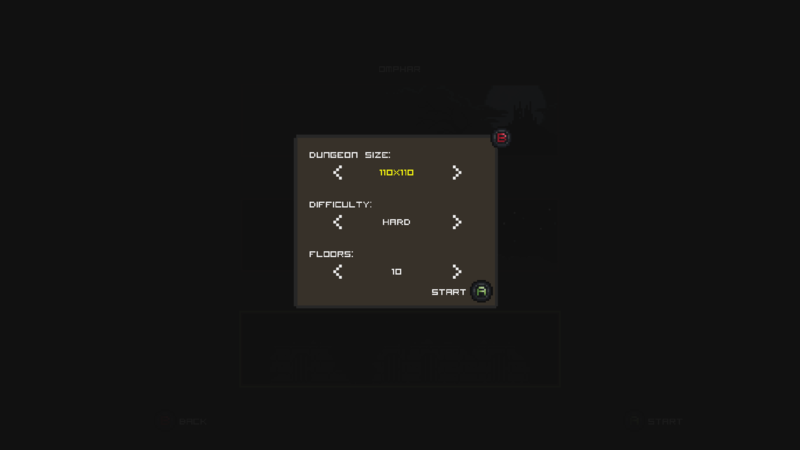 There is a settings screen for rebinding some of the game controller buttons. Also I want to show you what I’ve done to my own controller. And that’s it for now, there are several other tweaks and improvements, but I won’t get into detail. I hope this helps getting a better view of everything that I tried to bring to the XO version, to make it feel “at home”. I’ll have more news soon. 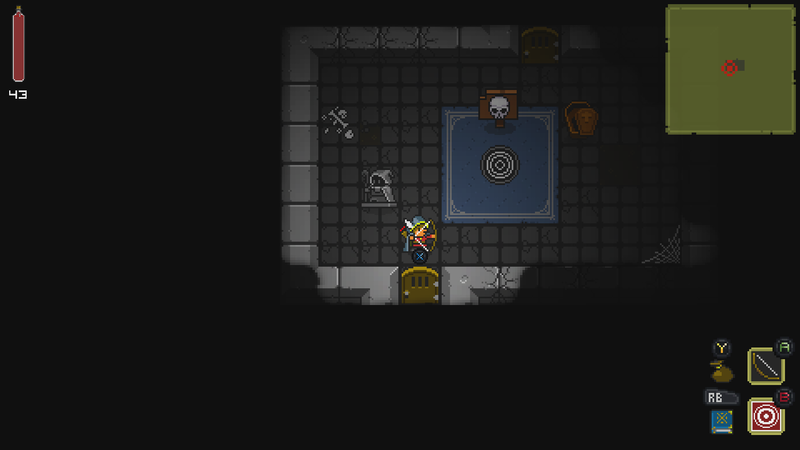 I’ve been keeping this one a secret, but there’s going to a be a new class, a Necrodancer. 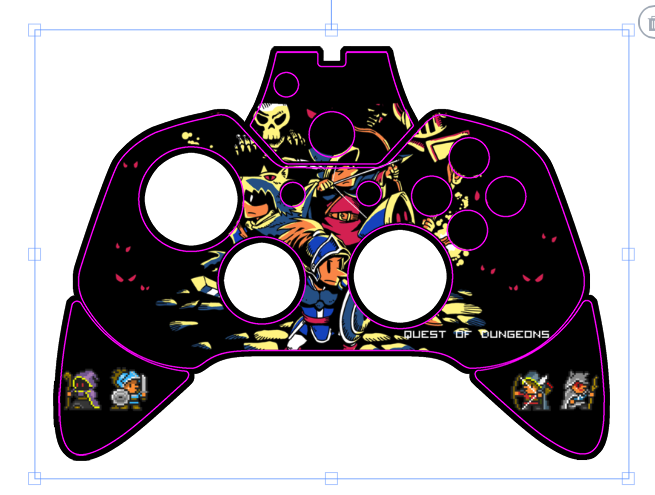 Yes you guessed it, it’s an homage to Cadence from the awesome game Crypt of the Necrodancer, you should buy it btw! I’ve been thinking about adding a new class for some time but never quite found anything interesting, each character, in my mind has it’s own personality and charisma and I was having a hard time finding any other interesting class. I had the crazy idea of bringing Cadence to the game as an unlock-able and not one of the main starting characters, talked to the devs of CotN and the liked the idea (thank you again), so it’s happening. 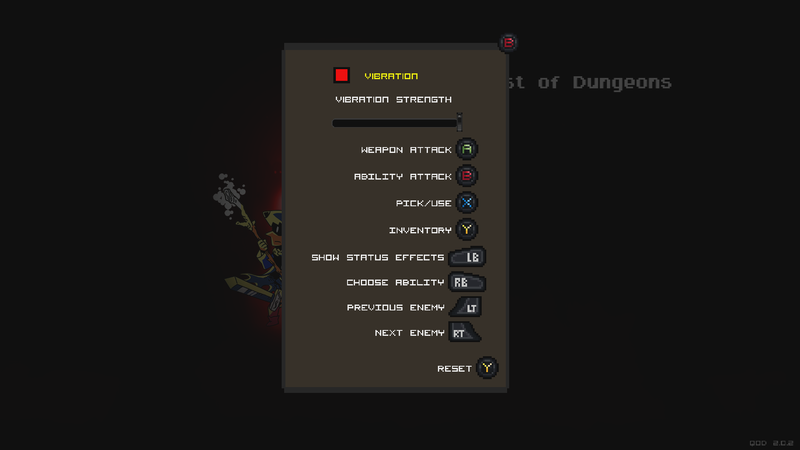 So among the things that you unlock when you finish the game, you also unlock the Necrodancer, she’s going to be a mix of several things, close combat, magic and debuffs. On the development side of things, it’s been progressing, I’m now putting together the code that handles achievements, stats, save games and all that stuff for the Xbox One, I expect to enter beta testing soon, it’s in alpha right now since I’m still finishing features. 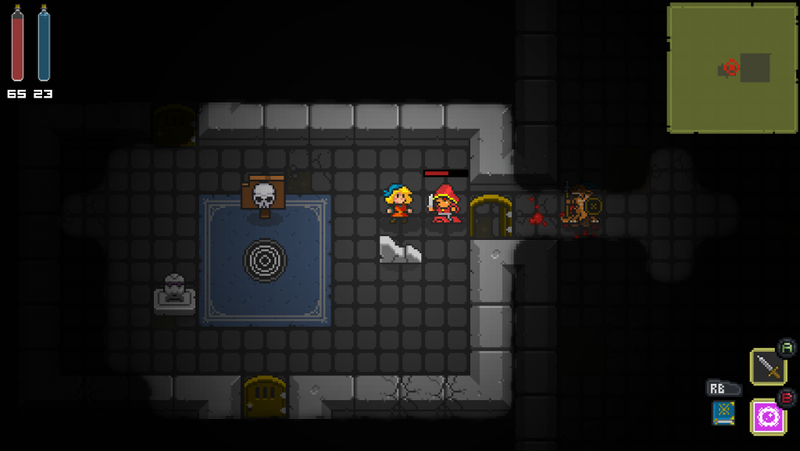 I’m probably expanding the testing to more people (PC with game controller) since some stuff is radically different (UI, controls) and I need more feedback/testing for that. But for now I’ll leave you with some images and a video. 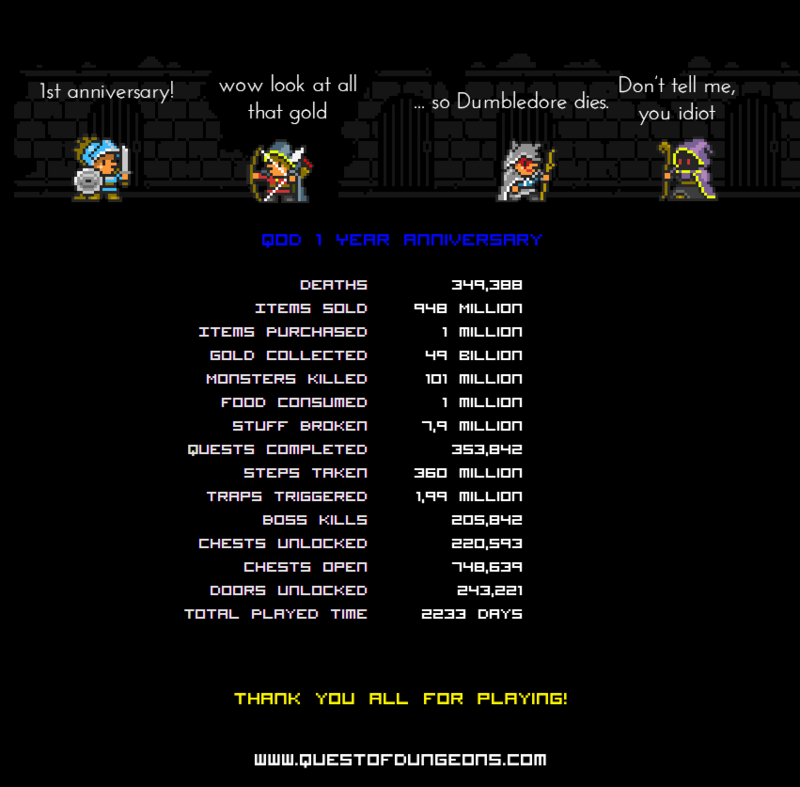 Quest of Dungeons is one year old, which means the first release was on March 25th 2014. I decided to leave you with some interesting stats collected over the whole year, it only counts Steam players , so it’s probably a bit more. Hey everyone, just a small update. 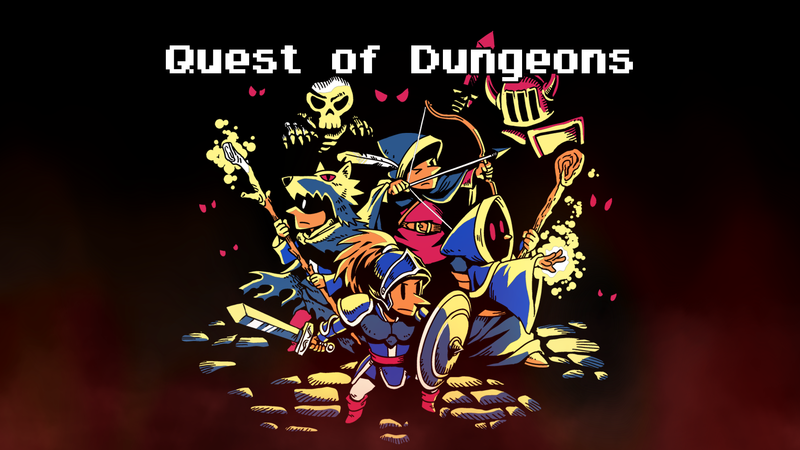 GDC 2015 is happening right now and last night a trailer was released for Quest of Dungeons running on the Xbox One. I made all new footage, running at 1080p in 60FPS for this new trailer, but kept more or less the structure of the original one since I think it reflects well what the game is all about. Last time we talked I was porting the engine to run on the actual Xbox One hardware, since them I managed to port the whole engine, it’s now running (not 100% stable), sound, rending, and input, all working. 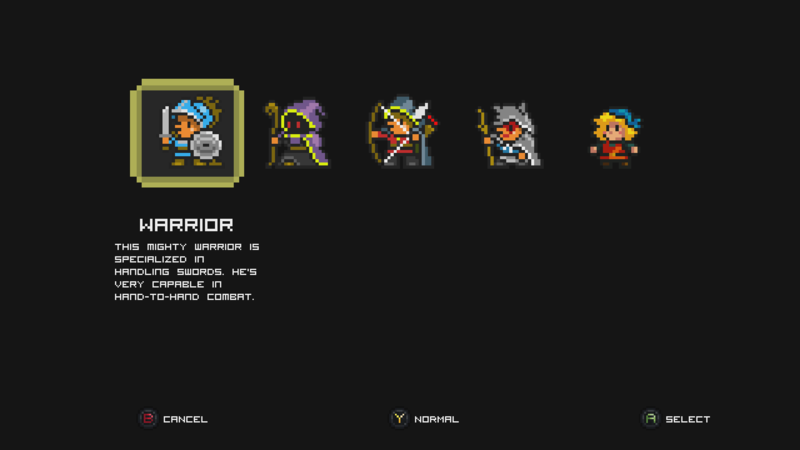 Since that part is a bit better now I decided to focus some time on new content, such as localization, the new dungeons and stuff that still doesn’t properly work with a controller. 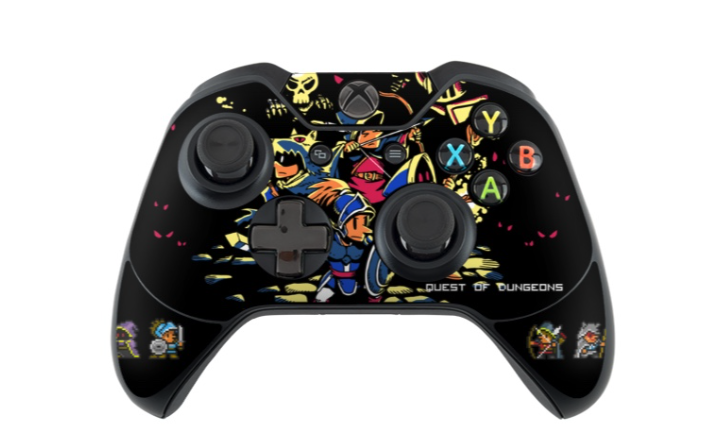 Almost the entire game is now fully playable with the Xbox One controller but there are still a couple of things that I’m not happy, such a way to check the active buffs/debuffs and properly using ranged skills that don’t use enemy targets, like Teleport or Summon. I need to find a way to make this coherent with the rest of the game. Another thing that I’m concerned with, is the font size on TV’s, some parts of the game are heavily text based, such as items descriptions etc, on smaller TV’s it may be hard to read, finding the right size is not easy. I’ve been considering having an option for scaling the text, but this would break all the UI, so I need to think of a way to solve this. 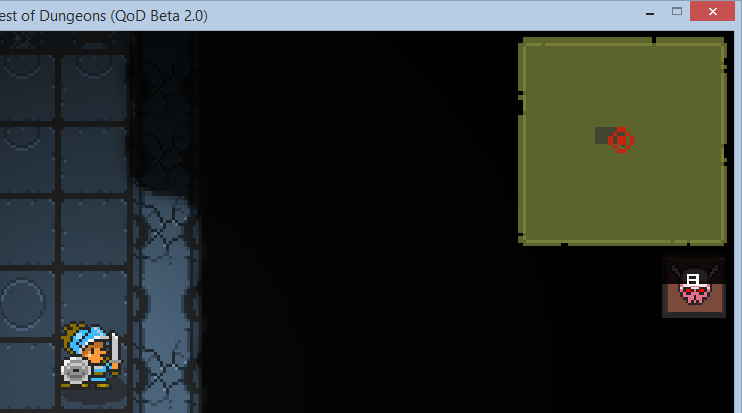 I also need to rework some parts of the game to accommodate for TV safe areas, some televisions can hide up to 10% of the screen area, and I need to make sure no crucial UI is there, which is pretty much where the UI is on the PC version. That’s it for now, as always thanks for taking the time reading. See you on the next post. I’ve been tweaking a lot of the gameplay to be suitable to use with a game controller and I’m starting to like the way it’s headed, it’s much more streamlined, faster and easy to use than the first attempt I made, some beta testing with a group of people helped with that. 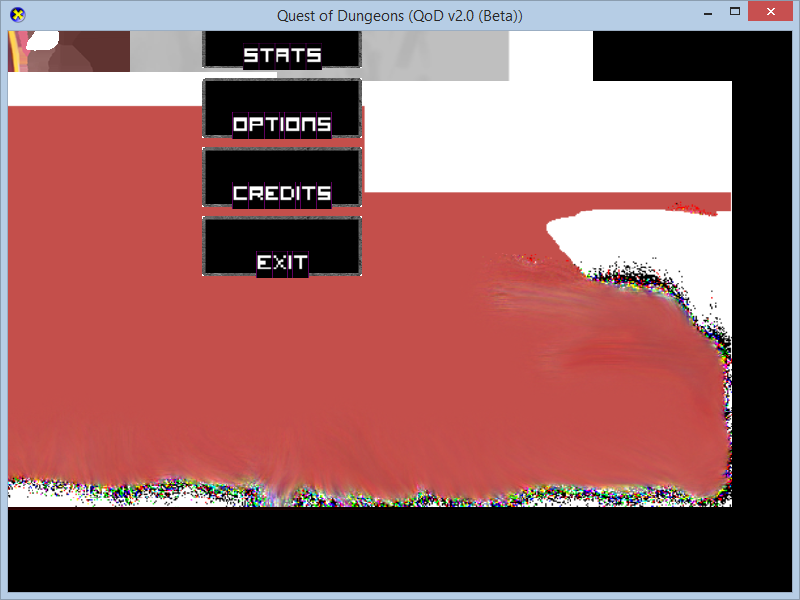 Last week I started porting the engine to DirectX, yeah it’s that fun moment where nothing works, crashes everywhere. But I’m slowly making some progress, got some of the rendering code working, as you can see on the images below, still no blend functions, no camera transforms but I’m getting there. Still no input, sound of even proper font load/render, and I couple more things I can’t remember, but I’m happy with the progress I managed to accomplish in a couple of days. That’s it for now, see you on the next update.